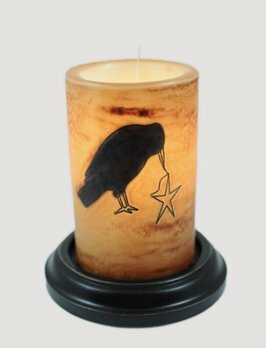 Here’s a great gift idea or addition to your home, the Bark Candle Sleeve. The candle sleeve is made in the USA. 6 watt bulb and the base of your choice (Antique White, Chocolate & Black) are all sold separately on our site. Celebrate the season along with family & friends with the Gather Leaf Candle Sleeve! This candle sleeve is made in the USA. 6 watt bulb and the base of your choice (Antique White, Chocolate & Black) are all sold separately. A great gift idea! 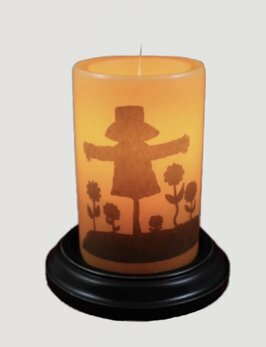 Here’s a great way to celebrate Halloween & Fall with the Vintage Scarecrow Candle Sleeve. The candle sleeve is made in the USA. 6 watt bulb and the base of your choice (Antique White, Chocolate & Black) are all sold separately on our site. The classic White Cotton Home Vanilla Candle Sleeve brings a beautiful glow to any room. 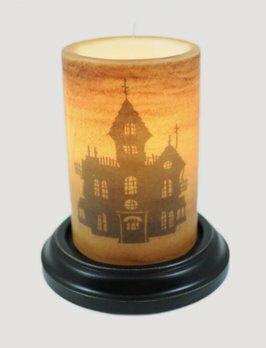 This candle sleeve is made in the USA. 6 watt bulb and the base of your choice (Antique White, Chocolate & Black) are all sold separately. A great gift idea!